TAKE5 gives you an update on the latest Meetings, Incentives and Business Travel related news. It contains short and to the point information on venues, people, happenings, lifestyle and general news that cannot wait to be told! BBT Online guarantees you 15 new ideas in just 3 minutes. Enjoy our 46th edition. All of our take5 articles are advertorial free. Crisis! What will this mean for our industry? The last couple of weeks one cannot ignore the continuous bad news show in the papers, on television and everywhere else… Greece is bust, Italy finally gets rid of its incompetent buffoon and struggles with a huge deficit, and here in Belgium our dear politicians continue to think ‘votes’ rather than ‘results’ and slowly but surely push our country towards the economic danger zone. 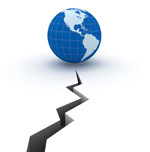 What will all of this doom and gloom finally mean for our industry? A themed itinerary following in the footsteps of the famous heroine and her passion for history, old stones and great outdoors. For guests who like to live exciting adventures, embark on a journey to Laos and have them follow Lara’s steps. 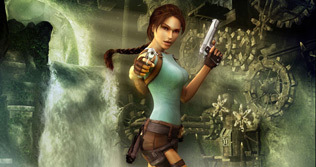 Guests will be the heroine this time and let’s see who deserves the title of “Laos’ Raider Girl”! This winter Xtreme Events, in collaboration with the hotels in the Spa region proposes a special deal for seminar organizers in the Spa – Francorchamps region. The ultimate cruise in the Seine: a luxury Venetian water limousine with space for one to six persons. 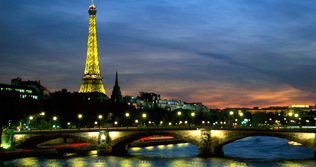 A unique and very private way of discovering the riverbanks of Paris in the secluded luxury of a small salon. Enjoy a drink from the minibar, put on the music of your choosing and just relax and admire the views without the crowds… quite an unforgettable experience. Tired feet? Calloused feet? Just in need of a pedicure? The Cosmetic Fish Spa is the – original – answer for you! 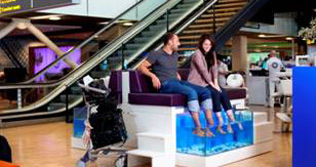 Just put your feet in the fish tank and let the little Garra Rufa fish give your feet a relaxing peeling…. They come out good as new! This form of foot massage can be found in the Back to Life area on Holland Boulevard between E and F Pier! An excellent way to alleviate waiting time in an airport! In the presence of the President of Thai Airways International, the Thai Ambassador to Belgium and a host of other prominent figures Thai has celebrated the inaugural flight from Brussels to Bangkok on November 17th. As of that date Thai will connect the Belgian and Thai capitals 3 times per week (Tuesday-Thursday & Saturday) with a direct flight in a 777- 200 ER aircraft with all modern facilities and the legendary Thai welcome on board. 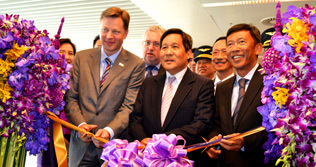 Thai Airways International is the only airline connecting Brussels to South-East Asia directly providing a key route to business travellers, tourists and international diplomats and officials alike. 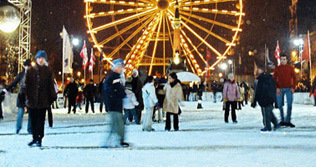 Not only will ski fanatics be able to ski down the Mont des Arts artificial ski slope this coming month of December (www.cityski.be), but it is also time for already the 10th edition of Winter Wonders, the Christmas Market with a difference. 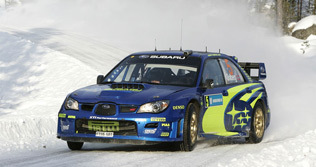 Created in 2001 as an antidote to the dull winters, it soon has grown into an institution. The over 2 km long course in the heart of the city brings light relief to young and old and this special anniversary edition will also bring a few surprises: a new itinerary, a second Food Plaza, original exhibitions, an added pedestrian area and two luminous parades! “Dear Karin, I read your BBT Online newsletter carefully, like always. I want to give my opinion on your remark about EMIF and BTExpo you posted in your November Edition. BTExpo did open the show to the MICE actors long before the announcement of EMIF's disaparition. “The travel agents are not selling only tourism: if this was the case, most of them would have disappeared since long time. All the travel agencies do have MICE business. “Despite the opinion of my friend Hugo, MICE and tourism are definitely linked. First because in the MICE acronym, the letter I states for Incentive, and an incentive is basically a high-level tourism program. Second, because all the Meeting industry decision makers in the world are choosing a destination on purely attractive tourism criteria’s. This is why Barcelona or Monaco are more successful than Manchester or Lille. Our colleague Bruce Taylor is the umpteenth victim of the golf virus! He got severely ‘bitten’ this summer and not only practised his new found passion on the golf courses of Bordeaux, but also in a lesser known golfing destination: Bulgaria. 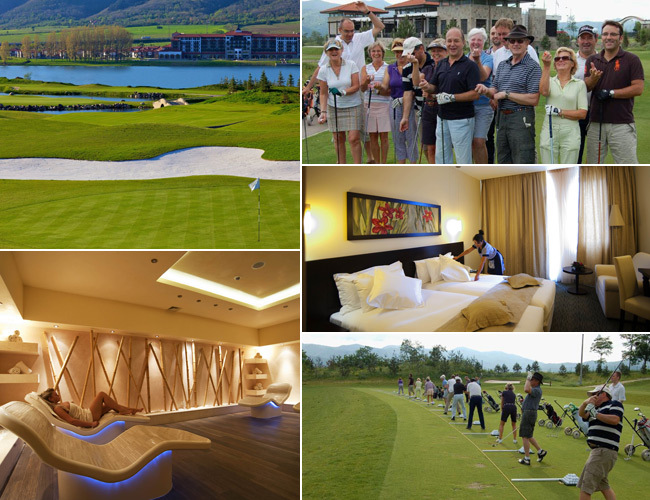 Bruce went on a four day site inspection with 12 members of GATE (Belgium’s Golf Association of Travel Executives) and leader Peter Hahn from RIU Hotels & Resorts from Brussels to Pravets. 2013 Site EMEA Forum for Antwerp! Congratulations to the Site Team for a great achievement. 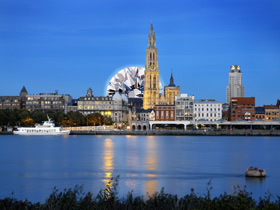 The 2013 Site EMEA Forum will take place in Antwerp! The forum will put heavy emphasis on education with a full calendar of seminars. The city of Antwerp, the fashion, the art, the diamonds etc.. and the Diabolo project, the direct train connecting Brussels Airport with Antwerp will be important partners as well as Toerisme Vlaanderen and the Flemish Ministry of Tourism. In the meantime the 2012 Forum will take place in Berlin from 18th till the 20th of June, save those dates. For more info, go to http://www.site-germany.de/Site-EMEA-Forum-2012/1,000000535318,8,1 . An estimated 200 participants will find their way to Antwerp, a great promotion for the city and the country! Details for this great event will follow later. Incentives have an important impact on the work environment. That is the conclusion of a study by Staples, USA. 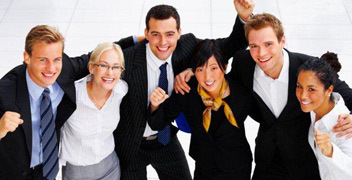 Research has proven that incentive programs promote a competitive and reward oriented culture. Incentives when implemented in a creative and efficient way can influence the moral of the company in a positive way says Staples. They also add that incentives can be a unique opportunity for companies to improve results. One cannot ignore it, on any given day the number of Dutch number plates at the Brussels Airport car parks is impressive. The Dutch have definitely found their way to Brussels and the figures don’t lie. 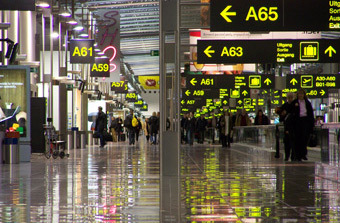 Of the 17.2 million passengers in 2010, 650.000 passengers originated from Holland. Brussels Airport is even planning a campaign in 2012 especially aimed at Dutch passengers. Calculations show that in Southern Holland 4 million Dutch people live closer to Brussels than Schiphol. This market is important for the cheaper short haul market and the long haul flights. Another major attraction point is that passengers can access the Star Alliance network via a flight from Brussels. Major investments in the coming year are aimed at building up Brussels as a Star Alliance hub. The 2012 European Federation of the Associations of Professional Congress Organisers (EFAPCO) Congress will take another leap forward in its campaign for greater recognition for PCO’s along the corridors of European power. Another exciting step towards development of the pan-European voice was made with the recruitment of the Czech Republic into EFAPCO membership. Every EU member state that joins EFAPCO strengthens its voice at pan-European levels and enhances the quest for positive recognition and support. This strengthening of ties has been enhanced by the acceptance of Jose Bastos, Head of Unit Conference Organisation at the European Commission (DG SCIC) to be one of the keynote speakers at the Congress at Estoril Congress Center on January 12 to 14, 2012. His topic: “Conference organisation as a key communication tool in the European Commission”. 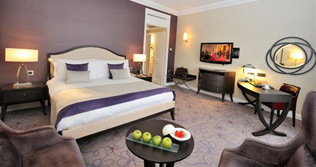 “What a change!” you will exclaim when admiring the 130 newly decorated bedrooms of the Conrad Brussels Hotel. The color purple coupled with soft grey is the leitmotiv, the dark furniture in stark contrast; the whole creates a relaxing atmosphere which will definitely be appreciated by guests who are no major enthusiasts of the previous style. The rooms look more spacious and of the 21st century, the bathrooms – the largest in Brussels – have not been touched. BBT Online’s 5th Four-Destinations Workshop – another successful evening! On Monday November 21, we organised our 5th Four-Destinations workshop, exclusively for Incentive Agents. It started with the venue, Den Breckpot (www.denbreckpot.be) in the heart of Mechelen. A number of guests thought they had the wrong address when the saw the fabulous Butcher-delicatessen shop, but once inside they discovered, floor by floor, a great and original venue. This time we went on a trip around the world: India, Quebec, Italy and Thai Airways International were the 4 presenting partners. Their presentations took the delegates on a great journey and left even the most professional of travelers present with plenty of ideas about what to discover next. 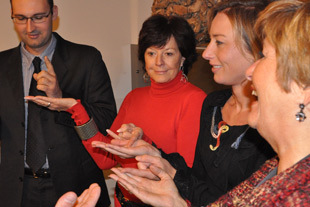 To help some of the guests who came from far to avoid the traffic jams, we provided a pre-workshop program with a professional speaker, Harry Van Hest (www.speakerssociety.be) , who entertained his audience with the differences between Men and Women. 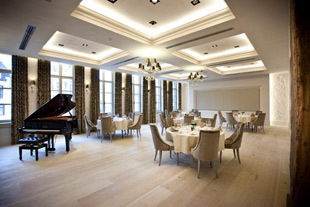 The four workshops were followed by a nice meal served in the elegant dining room, the perfect ending of an interesting evening. We gladly share some comments of the participants with you regarding this event. You keep surprising us with great locations and top suppliers from all over the world. A sincere thank you from me and Mark for yesterday’s excellent organisation. Thank you for this great presentation and lovely evening! I would like to thank you and your colleagues for the perfectly well organised evening. Everything went “smooth as silk”. All the 54 guests present were quality incentive planners, great! • 7 & 8 February 2012 at London’s Earls Court - The Business Travel Show - UK’s leading event for the corporate travel market. • The Malta Tourism Authority received the prestigious ‘World Routes – Best Destination Marketing Campaign Award’. • New: BCD Travel Groups department launches the Low Cost Meeting. Find out more http://www.bcdtravel.be/lowcostmeeting. • A new book that promises to unveil some secrets! ‘SABENA, ma vérité – tout ce que l’on n’a jamais osé dire depuis 10 ans’ by Salvatore Bongiorno. Order it at your nearest bookstore. • To counteract increasing hotel rates, business travellers start cutting expenses. The expensive hotel breakfast is an expense that is often cut. • Rezidor announces the opening of the Park Inn Hammamet in the second trimester of 2012. Formerly the Riu Park El Kebir, the 273-hotel was closed and will reopen after a full refurbishment and an added 63 villas. • More and more airlines are looking at tablets for in flight entertainment. Newest is the TrayVu that integrates a Samsung Galaxy tablet in the individual tray table of each passenger. • Marc Lambert – Antipodes won the prestigious Silver Boomerang for Qantas Airways as the bestselling agency in Benelux! Congrats!! • Scheherazade Zekri-Chevallet is the new Chief Commercial Officer for Thalys International. • Ben Gosman (Free Style Travel) is the new SITE President for the Netherlands. • Laughing is good for you! Click here.